The HTC Explorer is a low-end Android phone from HTC. 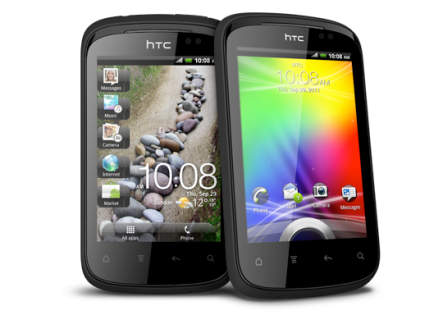 This tutorial helps you to Root HTC Explorer by using this simple method. Rooting in Android will give you access to core files and more control over full system. After rooting you can install 3rd party apps and customized themes. Most of the time Rooting any device didn’t really comfortable as most of the time users break their device. Reboot phone to bootloader and choose fastboot option. Now run the “recovery.bat”, wait for the process to complete. Congrats You’ve successfully installed CWM Recovery. Once you’re in Recovery mode, you need to select “install zip from sd card” and then select ‘”choose zip from SD Card”. stuck in the step “Now run the “recovery.bat”, wait for the process to complete” how much time it will take to complete this step? Guided you on FB. Hope you’re enjoying Rooted Explorer. Superuser file has been deleted. I am not able to unlock the phone. It goes into vicious circle when i give fastboot and then bootloader. Not able to reach step 4 given in the htc bootloader unlock site. Any idea why ? i hav rooted my phone,istalled superuser.zip and accidently have done factory data reset,and now my phone has gone in bootloop….i didnt backed up the rom…what should i do??? HI brother i cant find cyanogenmod on rom manageer when i click download roms.pls help soon. Difficult task, please go to the XDA-developers.com and create your thread. You struck while unlocking bootloader or in rooting process? I recently bought htc explorer. So after running the recovery.bat file..instead of copying Superuser Zip file to the sd card, can i copy JaggyRom zp to the sd card to instal custom rom? First you’ve to root your phone after that you can install as many ROM on it. For installing ROM phone must be rooted.